It’s been just over two years since we first launched our Posterous importer and I never could have predicted how the blogging space would evolve so quickly in that time. As you may have seen in the news today, the Posterous team is joining Twitter, which we know will be exciting for our friends at Twitter and well-earned for Posterous co-founder Sachin Agarwal. We’ve had an over 250% spike in the number of imports the past few hours, so it seems timely to recap how the importer works. A 250% spike! And that’s not counting self-hosted blogs, incredible, and quite obvious at the same time. 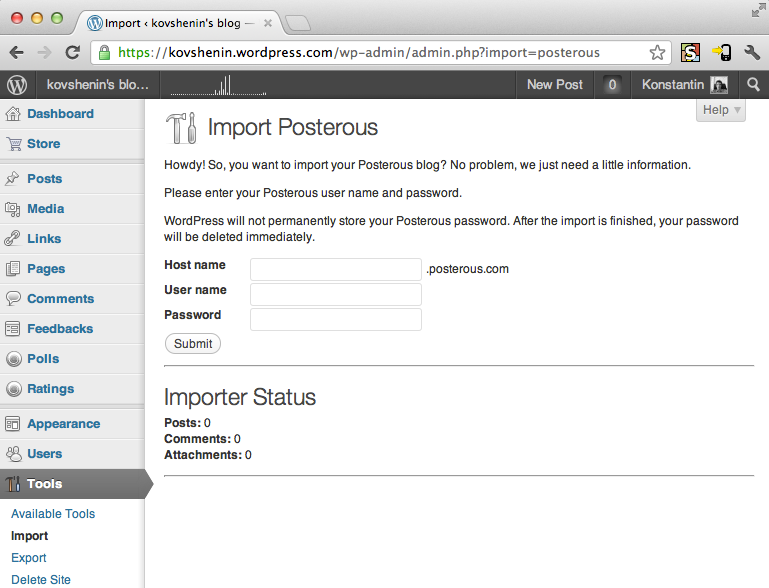 The Posterous importer works well for both WordPress.com hosted blogs, as well as self-hosted blogs via the plugin. So what are you waiting for? If you ever thought of switching from Posterous to WordPress, now’s the best time to do it.